Green Dental of Alexandria proudly serves the residents of Northern Virginia with expert orthodontics as well as comprehensive dental care. Our orthodontic services include Invisalign® invisible braces and Six Month Smiles®. Both of these orthodontic services provide a great solution for adults who desire straighter teeth but do not want to wear traditional metal braces. The Invisalign® system utilizes a series of custom-made, clear aligners that can be worn over your teeth to gently moved them into the desired position There are no brackets or wires to tighten and the clear aligners are virtually undetectable to others. The Six Month Smiles® uses patented Lucid-Lok® clear brackets and tooth colored wires to straighten your teeth in an average treatment time of just six months. Our experienced dentist, Dr. Hye Y. Park, is highly qualified to provide both Invisalign® invisible braces and Six Month Smiles®. After a thorough evaluation, we can recommend the orthodontic solution that is best suited to fit your needs, your lifestyle and your budget. Dr. Hye Y. Park, and our dedicated team of dental support professionals are deeply committed to your long-term dental health and to helping you achieve a naturally healthy and fully functional smile. 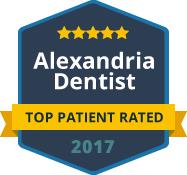 Using the best and safest materials the industry has to offer, the most advanced dental technology and eco-friendly systems, we deliver top quality orthodontic care to professionals and families throughout Alexandria and the surrounding areas. At Green Dental of Alexandria, we understand the value of a beautiful smile. We also recognize the fact that orthodontic treatments can be expensive and are not usually fully covered by insurance. That is why we offer expert orthodontics at affordable rates and offer flexible and in-house payment plans. Our friendly and knowledgeable professionals are available to work with you to help you find a financing plan that meets your specific needs. If you are in need of orthodontic dental care, please contact our Alexandria Orthodontics Specialists at Green Dental of Alexandria today to schedule a smile consultation. We look forward to helping you achieve your best smile!